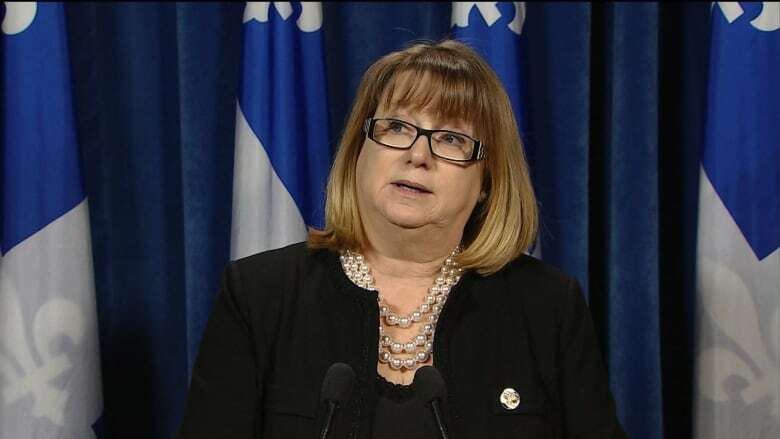 Parti Québécois MNA Carole Poirier has tabled a private member's bill that, if adopted, would protect abortion clinics and their patients by establishing security perimeters around the province's 47 clinics. A Parti Québécois MNA has tabled a private member's bill that, if adopted, would protect abortion clinics and their patients. The bill aims to establish security perimeters around the province's 47 clinics. Carole Poirier, the PQ's spokesperson on the status of women, tabled Bill 595 at the National Assembly on Wednesday. The bill looks to British Columbia's Access to Abortion Services Act, adopted in 1995, as inspiration. Poirier said the proposed legislation would give women using the clinic's services "free and unimpeded access," establishing areas restricted to protesters. It would also "prohibit stopping and questioning, harassing, verbally abusing, threatening, intimidating or attempting to intimidate" patients, doctors and clinic employees. Poirier said she's received support for the bill from Health Minister Gaétan Barrette. Lise Theriault, the minister for the status of women, said the Liberal government has been looking into the concerns and will make its plans clear in the coming weeks. It's a welcome and necessary move, said France Desilets, the general manager of Montreal's Morgentaler Clinic. "I myself have been followed in the Metro. I've been photographed outside the clinic. I've been confined to the clinic as protesters were outside my door," said Desilets. She said the Morgentaler Clinic has been the target of protesters since it opened in 1968. "The rule now is, you need to get an injunction in court to protect the access to your clinic and, if you move, you need to get another injunction," Poirer said. That was the case for the Morgentaler Clinic when it moved from its location on St-Joseph Boulevard to its new location on Berri Street. Desilets says the St-Joseph location was granted a permanent injunction which meant protesters could only gather across the street from the clinic. "When we were forced to move at the end of 2014, we lost that injunction," she said. "We immediately went and got an emergency injunction and then a temporary injunction." Desilets said she hopes the legislation will pass, offering a more permanent solution to the issue.